Situated in the Plains of Northern Sarapiqui, county of the province of Heredia, the hotel is just 75 minutes far from San Jose. This region of the country is considered as one of the most diverse area with a mix of mountains, plains, volcanoes, lakes, rivers and forests. 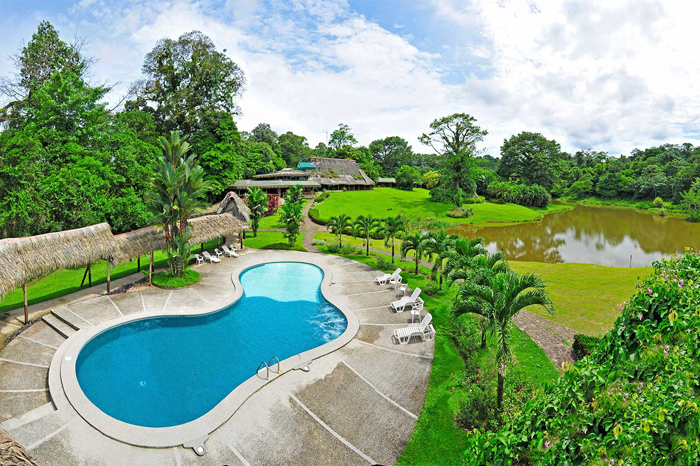 Its proximity to Braulio Carrillo National Park and the mighty rivers of the area makes this place heaven for the nature lovers and also for those who love tranquility, equestrian activities and adventure sports. 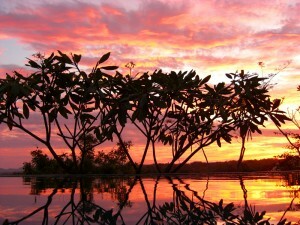 Sarapiqui is renowned as the new nature destination of Costa Rica and the hotel is considered the best in the area. Hotel Hacienda Sueño Azul provides 65 spacious rooms. These rooms are well decorated with rustic yet elegant. These rooms have private terrace that overlook a panoramic view of mountains and lakes. You can also enjoy watching lots of flora and fauna that Sarapiqui has to offer. In this hotel you will find 27 standard rooms that measure (10.5 m x 5m). These rooms are perfect for the nature climate lovers as these are designed with a natural ventilation system that keeps the room environment pleasant during day and night. These rooms are featured with 2 twin Queen size beds, private bathroom with hot water facility, closet, fan, hairdryer, private terrace furnished with rocking chairs. There are 34 Superior room which measure 10.5 m x 5 m. These rooms are also ideal for those who enjoy nature and a temperature controlled climate plus all the comforts of Sueno Azul. These rooms are featured with 2 twin Queen size beds (7 rooms with California King size beds), private bathroom with hot water facility, air conditioner, fan, hair dryer, closet, safe deposit box, private terrace with rocking chairs. The Hotel have 2 Jr. Suite rooms. This suite is ideal for couples who want to stay at this hotel for enjoying a memorable honeymoon and also want to have comfort. This suite is featured with one California King size bed, private bathroom with hot water, hair dryer, closet, fan, air conditioner, double private terrace with hammocks and rocking chairs, private Jacuzzi, mini bar, cable TV, phone, and also safe deposit box. Constructed in the antique stable, the El Corral restaurant serves traditional Costa Rican foods as well as an International menu in a pleasant atmosphere. All the dishes are healthy and delicious. If you want to have vegetarian dishes or have any special dietary needs, the chefs will be very happy to accommodate. This restaurant also overlooks impressive landscape that encloses to the property. There is also a cafeteria and bar in the terrace of “La Casona” made over a century ago. 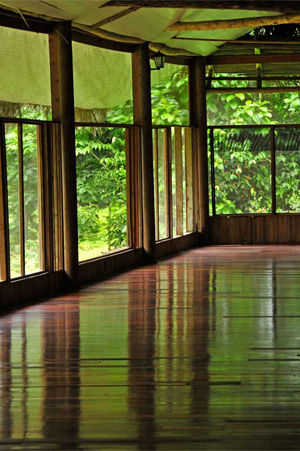 This hotel has a fully equipped yoga studio that can accommodate over 100 yogis. This beautifully decorated modern yoga studio overlooks marvelous view that helps the practitioners to absorb all the positive energy that nature offers. While staying at the Hotel Hacienda Sueño Azul you can enjoy Awapa Spa that includes ample variety of treatments including message, wraps, facials and alternative medicine. These treatments will help you to get rejuvenated and to re-cooperate your natural vitality and improving your quality of life. Only the products, made with plants from the botanical garden combining their medicinal properties, are used for the spa treatments.